One of the most exciting activities of the holiday season is decking your halls with festive home decor. In fact, for many people, it isn’t until their homes are replete with holiday cheer that they can truly get into the seasonal spirit. If you’re seeking inspiration for the merriest time of all, browse through some of this year’s most popular decorating tips, below. Upgrading your living room accessories is one of the simplest ways to create a cozy, festive atmosphere your guests will love. Yet, while it’s quick and easy to do, it also makes a stunning impact. Simply swap out your regular couch accessories for holiday-themed pillows in wintery hues that complement your color scheme, such as cream, burgundy, or green. Take it a step further by choosing pillows featuring cheery sayings, animals, or details such as snowflakes. Pull it all together by draping some thick, cable knit throws over your furniture. Your entryway is positioned to make the biggest impact on your guests this season, so give this section of your home a little extra attention when decorating. Start with your door: Choose a wreath or hanging decoration to spread some cheer at eye level. Next, add a welcome mat reflective of your preferred holiday style. Wrap up the scene with an outdoor statement accent, such as a nutcracker, set of wooden Christmas trees, or a vintage red sled. To create a cohesive look, choose a single piece of decor you truly want to stand out in each area of your home. You can surround it with pine cones, garlands, candles, or other small accent pieces, but allow your focal point to truly take the stage. If you lean toward the eclectic or farmhouse style, consider making your wow-worthy accent a holiday vintage truck. If you prefer a warm, classic scheme, a holiday pine cone topiary might suit your look better. There are dozens of options to consider, and Pinterest can be a fantastic source for inspiration, too! 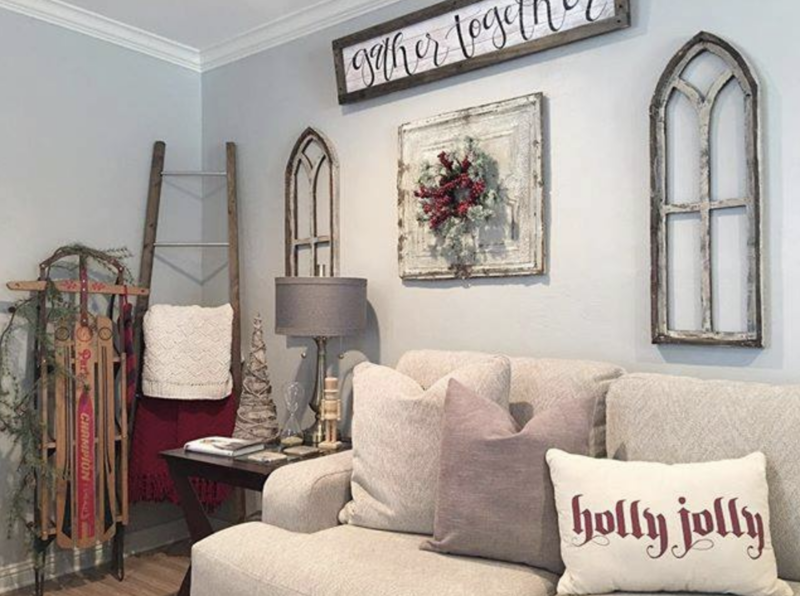 If you’re getting in the holiday spirit and are ready to start collecting home decor to celebrate the season, head to your nearest Ashley HomeStore location. A leading trendsetter in interior decorating, their stores throughout West Texas and New Mexico always have the latest trends, colors, and designs to help your home look its best year-round. Explore their extensive inventory of holiday decor online or call (806) 687-3000 to contact a helpful associate.